Care: Machine wash in cold water, use gentle cycle only. Do not bleach. Dry flat only. A tastefully decorated bathroom can be your own haven and retreat. Maybe you already know exactly what you want. If you are a bit unsure, some bathroom decoration ideas can help you identify the look and feel you may like. 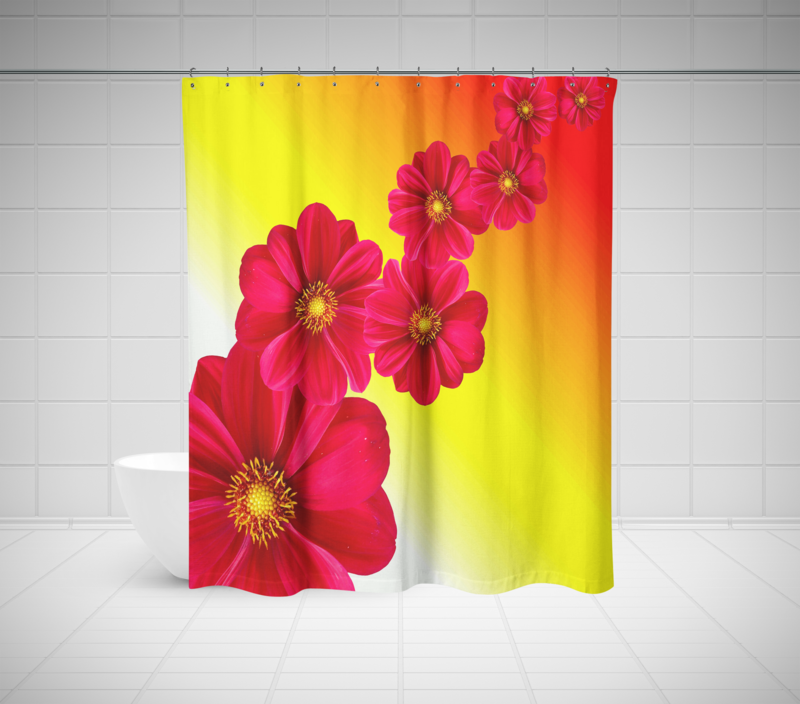 Then get your shower curtain exactly the way you like it. Some like the feeling of a beach – the beautiful waves, the soft sand, and maybe that beach chair. Others like it green – a majestic canopy of trees, or maybe a lush meadow. Still others like some wildlife – maybe a couple of dolphins playing, a school of fish, or a herd of deer. Or just go with a theme for the whole bathroom – like a sports theme for example. Any which way, you are going to have a super cool shower curtain. Just find a photograph from your own collection, and commemorate one of your favorite memories. Our shower curtains are 71 inches wide and 74 inches long. This size works well for most showers, but please ensure that it will be right for you prior to ordering. Your Zuniquely shower curtain will be machine washable, and have 12 holes for hanging hooks. You can also watch this video on YouTube if you’d like –> click here!